Ezra Theological Training celebrated its first graduates from the three-year program. Graduates have completed a course of theological and practical training and discipleship. Photo courtesy of Fish. The Ezra Project began in 2015 as the need for stronger church leadership and pastoral skills grew in many rural churches of North India. The aim of the project is to provide church leaders with solid training in biblical teaching and strengthen their spiritual lives so that they can lead their flock with more precision according to the Word of God. Three years after its first modules launched, Ezra was able to celebrate its first batch of graduates! 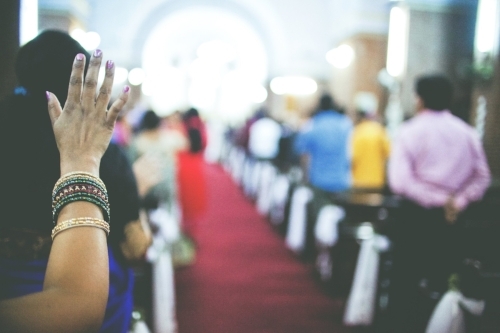 “Small, local house churches are springing up in many parts of Northern India,” Pastor Devender, director of the project, explains. “And most pastors did not receive formal seminary training, whether it be for financial reasons or inadequacy in their educational background.” Further adding to the problem, most seminary courses are not designed to train leaders from a rural context. “We could always uproot them from their churches since they have not received proper education,” Pastor Devender says. “Or, we could launch this project and train them according to their own needs, in their own context,”. Ezra’s theological course consists of nine modules covered over three years. Three modules are taught each year, each lasting one week. Each module focuses on a certain subject, such as church history, counselling or systematic theology. During the week, participants engage in intensive biblical training and deep group discussions. They all take exams at the end. “Just to make sure they learn it right,” says Pastor Devender with a smile. Ranjeet is a recent graduate of Ezra and a young pastor. “I love taking the courses and doing the exams,” he exclaims. “It tells me how much I have learned, and I feel motivated all the time.” Many participants have given positive feedback about the courses, expressing how much clearer they are now about the Bible. Pastor Joel Robinson said, “It changed my life. Many questions were answered at these courses” - questions such as a concrete explanation of Trinity, what is the Holy Spirit, and how to preach and deliver a sermon. Many rural pastors care for churches without any training. Often they're the pastor simply because they became a believer in their area first. Photo courtesy of Cate Gordon. Ranjeet’s challenges came when he has to leave for an entire week and no one can take care of his church. “I want to take what I have learned at Ezra and start training leaders at my church. But not a lot of people are up for that,” he says.